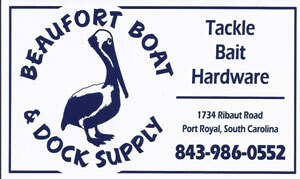 Beaufort SC retailer of fishing, boating and dock supplies. Catch Captain Danny telling fish tales when he’s not on the water. Visit the shop in Port Royal or their Facebook page today.